Brian Ackerman, my genial host in the mischief that follows, was kind enough to allow me to bring along a fellow audiophile from Houston (Paul) that had an interest in making the trip and participating in the listening. The intent had been that both of us take the same flight from Houston to Denver where Brian had agreed to pick us up at the airport. Due to some prior commitments, Paul was unable to make the flight and decided to drive to Denver and meet me at the airport. The narrative (italicized) that follows describes the mad dash which he made from Houston to Denver. Although it was my hope that he might comment on what he heard, he found my description to agree in large part with his thoughts, so the remainder of the article is my attempt to relate our experience in Denver. Now, let me start by saying this is not the kind of arrival time I had been expecting my friend Fred Crowder to confirm. As the task of driving from Houston to Denver had been drawing nearer, thoughts such as ‘He couldn’t’ be landing before noon” were dancing like plasma arcs through my head. It was already 1pm on Thursday and no matter how politely I asked it, Mapquest insisted that I was facing 16 hours behind the wheel. There was to be no home cooked Houston dinner for this road warrior. I took a shower, ran a few local errands, and serenely accepted my existence within the rich mosaic that is Houston 5pm traffic. As I drove on into the night and cleared Fort Worth on US 287, I mused over my good fortune at being invited back to the home of Brian Ackerman, a fortress of audio solitude featuring the speeding-bullet-besting performance of the Acapella, Einstein, Isoclean, Lindemann, Stage III and now Ypsilon lines, complete with a host entirely unfazed by kryptonite. Shortly after my virtual copilot relinquished her cell phone in the pre dawn, having heroically endured the distortions and dropped calls of America’s less traveled thoroughfares, a deep Oklahoma fog set in, luring my thoughts towards the mysterious. I was unfamiliar with the Ypsilon gear and was also very curious to hear the Lindeman and Einstein sources in a non-show environment. It wasn’t long before Oklahoma fog segued into a gorgeous Colorado dawn snowfall. An experience that I wish my photographic skills had been able to do better justice. Looking at my terrible exposures from this period as I downloaded them left me on much the same page as that of my bovine subjects- namely wondering exactly what did I think I was doing. My arrival at the Denver international airport was timed sublimely, within 5 minutes of Fred’s landing. And thus began 48 hours throughout which we were treated by Brian to highly enjoyable and informative listening (an in-depth analysis of which Fred has detailed below), delightfully tasteful restauranting, and all-around exceptional company. I hit the road home under clear blue skies with a satisfied ease that lasted my entire journey and beyond. Brian lives about 30 minutes outside Denver in Parker, Colorado in the shadow of the Rocky Mountains. His house serves as both a home for his family and the location for Aaudio Imports which represents Acapella, Einstein, Lindemann, Isoclean, Millennium, Ypsilon and the Stage III wire products in the US. The business including showrooms for audio and home theater occupy the lowest level of the house, are thoroughly soundproofed from the remainder of the house, and are accessible through the house or via a separate entrance. Have you ever fantasized about having the time and resources to build a sound room from the slab up and to populate it with the best equipment available? Although Brian may have had some constraints, he was actively involved in the design of the house and able to optimize room size and construction as well as the electrical service to guarantee an optimal base from which to set up his audio and video systems. Even after all his planning and hard work, he found that no room is perfect and undertook research to identify an acoustician that could measure his main listening room and then acoustically treat the space. That company was Golden Acoustics. Of course, it also is a real advantage when you are the importer/distributor for some of the most sought after audio equipment available. Rather than going through an item by item listing of the equipment in Brian’s system which has previously been described in Dagogo by our editor and is very similar to the system that Aaudio Imports showed at the Rocky Mountain Audiofest last year and the year before, I would prefer to focus on the items that were new and then chronicle our two-day listening session which in many instances involved comparisons of the new pieces with existing equipment. The heart and soul of this system is a pair of the Acapella Triolon Excalibur speakers, which are very similar to the pair that sits in my home, except that Brian chose graphite horns in contrast to mine which are bright red. The Triolons act as a window for other equipment in the chain, often magnifying any weaknesses. The Einstein electronics appear to be a very synergistic match for the speakers. Although not necessarily a perfect match, it is hard to find a better match for the Triolons than an Einstein preamp, OTL amps and the Lindemann SACD player connected with Acapella speaker wire and power cords and isolated with Acapella couplers and Fondato Silenzio isolation platforms and damping blocks. Acapella and Einstein both have their factories in neighboring towns in Germany and often do shows together. 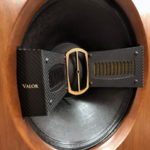 As with other systems of this complexity and resolution, when everything is right, the sound is world-class, but if anything, even speaker toe-in is even a bit off, it has a significant impact on the sound. Brian initially allowed Paul and me to play a number of CD’s on the system to get a benchmark. These included Madeline Peyroux (Careless Love), the Esoteric re-issue of Falla’s Three Cornered Hat (Ansermet), the Mobile Fidelity re-issue of Blues Breakers and the soundtrack from American Beauty. The first change was the addition of a CD stabilizer/mat manufactured by Millennium from carbon fiber that is designed to fit on top of the CD in the player. Without the mat, the top-end had been very splashy and the images very left/right with poor centerfill. With the addition of the mat, images were clearer, more three-dimensional with more body. The mat also cured the excess energy at the top. Next, Brian proceeded to clean Blues Breakers with Audiotop CD Enhancer which appears to be a clear liquid specifically designed to remove mold release chemicals and other foreign matter adhering to the surface of the disc to make it easier for the laser to read the pits. The center image became more prominent, the soundstage wider, voice better/more complex tonally, the rhythmic line easier to follow, images less forward with increased definition and the rhythm guitar easier to follow. No deterioration was noted in any area. Thereafter, use of Audiotop and the Millennium mat were mandatory with each new selection played. Up to this point, we had been using the Ypsilon transport with its built in DAC as a CD player. We then switched to the Einstein CD player. The Einstein produced a vast sense of space on the American Beauty Soundtrack and was felt to be clearer/cleaner and have tighter focus, but in comparison to the Ypsilon had somewhat less deep bass. The extreme top-end was somewhat better. The leading edge was subtly softened and the decay somewhat truncated but better in these areas than the Ypsilon used as a single-box player. This comparison was somewhat flawed by the fact that the Ypsilon was new, straight out of the box and not broken in. As detailed below, things improved the next day when the Ypsilon had been left playing continuously for 24 hours. Having heard both the Einstein and Ypsilon as CD players, it seemed worth asking how the Einstein CD player would function as a transport with the Ypsilon DAC. (Note that the Einstein and Ypsilon both utilize the same OEM transport.) Not surprisingly, the answer was “very well”. Bass was audibly better, although there was less sense of space. Texture and tone were much better; instruments were more fleshed out. 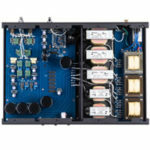 The improvement was not surprising given that the substitution of the Ypsilon outboard DAC is intended to be a state-of-the-art solution and is priced at greater than two times the cost of the Einstein. At this point, someone asked what the difference was between the top of the line Stage II Reference Zyclop power cord and the less expensive Vortex. Both are from the same manufacturer but at very different price points. The Vortex was actually very good but not as precise or focused as the Zyclop. The image was more forward and there was a clear loss of clarity and definition in comparison to its more expensive sibling. There was somewhat less control in the bass. Voices were nice with good texture but with somewhat less body. We switched back to the Zyclop and focused on the cord providing power to the Einstein preamp. Note that the IEC connector on the preamp is underneath the unit near the front left corner. Two things flow from this positioning, (1) a right angle plug is the only configuration that will work and (2) the diameter of the power cord is limited by the amount of clearance between the bottom of the preamp and the surface on which it sits. 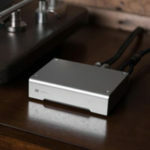 Einstein provides a power cord with the unit but it is nothing special and certainly limits the performance of what can be a state-of-the-art preamp. Brian normally recommends the use of a specially modified Isoclean Focus cord as the starting point, but much prefers the Acapella High LaMusika power cord. In this instance we had been listening to the Acapella and switched to the Focus. This resulted in more noise/less black background, shallower stage depth, a notable deterioration in bass impact and control, loss of information/detail, a slight dulling of the sound and a decrease in the level of refinement. At this point, we switched back to the Acapella and substituted the Lindeman player for the Einstein/Ypsilon combination. The Lindemann SACD player used as a standalone player is a credible substitute for the Einstein. In comparison, the Lindeman has more detail retrieval and transparency but at the expense of a leaner tonal balance. Given my personal preferences, I would probably lean toward the Lindeman but both are very good. During initial listening, the Lindeman sited on an Acapella Fondato Silenzio custom shelf which was about 2″ thick using the Lindeman’s own feet. The Einstein was also sited on a Fondato Silenzio shelf but used Acapella couplers rather than its own feet. Brian suggested bypassing the Lindeman’s feet and using Acapella’s Puck 3 couplers to couple the chassis of the Lindeman to the Fondato. The sound was immediately clearer with more impact in the bass and more musically involving. The tonal balance became warmer. Since coupling seemed to be a good answer, we decided to use an Acapella Speed block on top of the Lindeman. This made a substantial improvement. The sound was less forward with more presence and no harshness in the voices. Images were more focused and more solid. At this point, it was very late and everyone was tired. Brian was nice enough to take us to one of the local restaurants which served very good Italian food. If there was one key learning on that first day, it was the criticality of getting the ancillaries right, particularly the electrical service (think power cords and AC line filtering) and the vibration control (not only isolating the component from external vibrations but just as importantly providing a good path for energy generated by the component to be dissipated). Fine tuning of the electrical and mechanical isolation of the component easily made more difference than switching between the Einstein and Lindeman players even though their manufacturers use dramatically different approaches to digital. The focus on the second day was listening to the Ypsilon gear which still had very limited break-in. Although the transport was clearly intended to be used with Ypsilon’s stand alone DAC, it is provided with an internal DAC which allows the playback of Red Book CD’s. Used in this manner, it was not as resolved or fully fleshed out as the Lindemann. Likewise, the Einstein used as a CD player was more open with better recreation of depth and space and with better bass. Where the Ypsilon transport came into its own was when used in conjunction with their separate DAC, particularly when the two units were connected with their proprietary 5-pin connector and silver wire. Bass was clean and well controlled with excellent focus. The combination did an excellent job of “floating” the top octaves. Decay of struck instruments was nicely extended. Insertion of Acapella couplers added power to the bass and enhanced the illusion of depth and space. The sound was highly musical and encouraged long term listening. Almost as an afterthought, we talked Brian into playing with the toe-in of the Triolons. 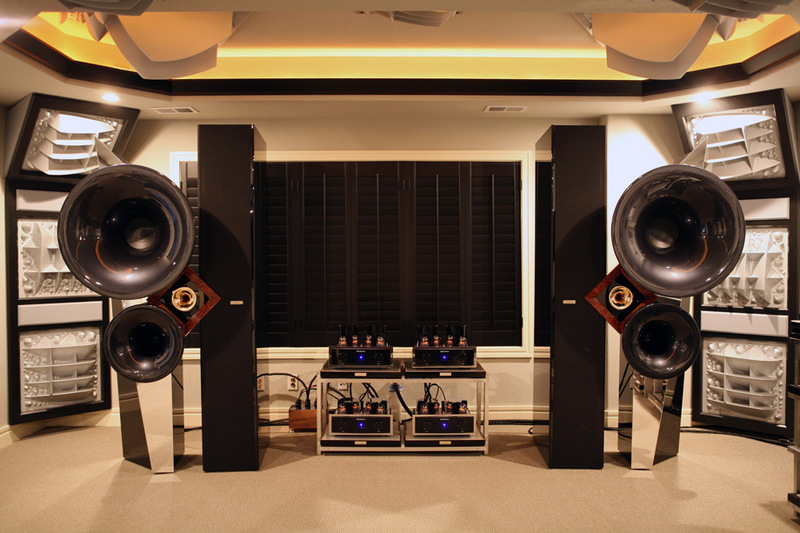 Note that this is not as easy as one might think given that each speaker weighs 880 pounds and is over 7 feet tall. Nonetheless, Brian humored us. In the end, we added about 1/2 inch of additional toe in to the left speaker and perhaps 3/4 inch to the right speaker. The effect was totally out of proportion to the change. A slight tendency on some music for the sides to predominate over the center image disappeared, image focus locked in and the ability of the speaker to generate an image to the outside of the speakers on appropriate material was enhanced. 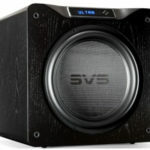 Perhaps the most surprising result was that the ability of the speakers to energize the room in the bass increased nicely, almost as if the speakers had previously been fighting each other. The only trade-off was that the sweet spot was narrower. Brian then suggested that we level the speakers which again had a positive effect. The new Stage III cables, particularly their A.S.P. Reference Zyklop power cord and Gryphon interconnect are extremely neutral and work well in this system. It was clear that the Zyklop was superior to the Isoclean products on hand, certainly more neutral. The icing on the cake was getting to hear the Ypsilon Transport and DAC. My first real exposure to these Greek products was at CES where I heard their hybrid monoblocks and their stereo SET amps driving Andy Payor’s Rockport speakers with good effect. Brian is now the importer for the line. He did not have the amps available to switch into his system but has promised a pair of the new SET tube monoblocks for review this summer. Based on what I heard at the show, these should be a killer combination on the Triolons. What I did hear over the weekend was the transport and DAC, each of which had very little break-in. Nonetheless the combination when properly sited and connected with Ypsilon’s proprietary cabling was by some margin the best digital set up that we heard. The DAC is tube based and transformer coupled with workmanship that is beyond reproach. I also left with a significant respect for the Lindeman CD player. The compromises/tradeoffs made by the manufacturer have been very carefully chosen to benefit the vast majority of available software, but at the expense of those rare CD’s that are truly exceptional. Likewise, the Einstein was excellent in its own right, somewhat less resolving but warmer and more fleshed out. While the Lindeman and Einstein will appeal to different listeners, I preferred them over the Ypsilon used as a single box player. I would also highly recommend the couplers, bases and vibration damping weights marketed by Acapella. They will not transform a mediocre piece of equipment into a recommended component but they will significantly enhance the performance of most equipment. In closing, Brian’s system was one of the best that I have ever heard and Brian was a world class host.